The Dave Johnson coal-fired power plant is silhouetted against the morning sun in Glenrock, Wyo. The Trump administration on Tuesday proposed a major rollback of Obama-era regulations on coal-fired power plants, striking at one of the former administration’s legacy programs to rein in climate-changing fossil-fuel emissions. The Trump administration on Tuesday proposed rewriting pollution standards for power plants across the country, a move that could keep aging coal-fired plants running longer and slow the decline of carbon emissions in the United States. The Environmental Protection Agency’s “Affordable Clean Energy” rule, which the president will tout at a roundtable in Charleston, West Virginia, Tuesday evening, represents the administration’s most ambitious proposal yet to bolster the nation’s coal industry. It would replace an Obama-era rule that set strict carbon dioxide limits for each state and encouraged utility companies to shift to natural gas and renewable energy to slow the pace of global warming. The agency estimates that the power sector’s greenhouse gas emissions would continue to decline in coming years, but almost entirely due to market pressures. By 2030, carbon dioxide levels would be between 0.7 percent and 1.5 percent lower than they would have without any regulation in place, according to an EPA analysis. By contrast, the Obama administration projected that its rule would have cut emissions 19 percent compared to business-as-usual over the same time frame. The power sector will save $400 million a year in compliance costs compared to the rule it would replace, according to the EPA’s analysis. Hal Quinn, president and CEO of the National Mining Association, said in an interview Monday that the rule change was “at the top” of the coal industry’s list of policy priorities, because utility executives had been shuttering coal plants at a rapid clip when faced with the prospect of curbing emissions of not just carbon dioxide but mercury, soot and smog-forming pollutants. Roughly 40 percent of the nation’s coal fleet has either been retired or slated for retirement since 2010, according to the American Coalition for Clean Coal Electricity. The Sierra Club places the number even higher, saying that 270 of the 523 coal plants it targeted in 2010 are either shut down or scheduled to close. The Obama-era rule, dubbed the Clean Power Plan, has never taken effect because the Supreme Court stayed it after more than two dozen Republican attorneys general and industry groups said the EPA exceeded its legal authority. 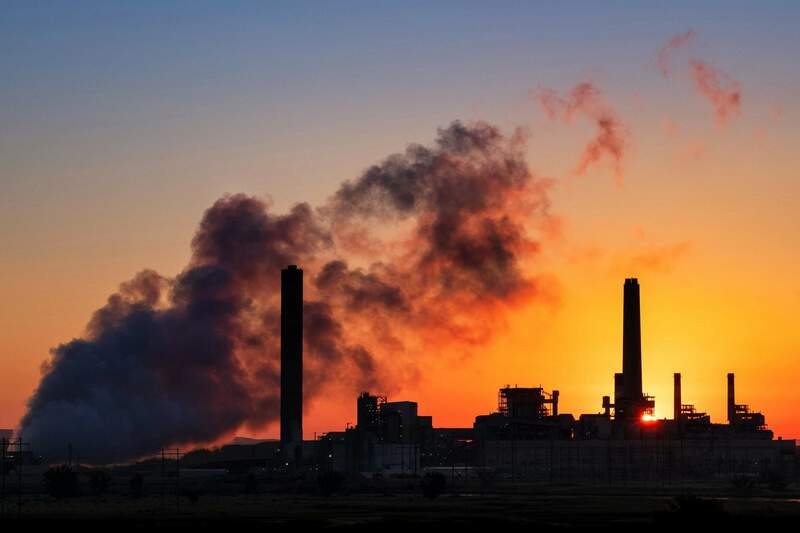 But cheaper natural gas and renewable energy, along with recent federal requirements to cut the sector’s emissions of mercury and other neurotoxins, have already encouraged many companies to close existing coal-fired plants. Analysts said that if enacted, the administration’s plan would not reverse the overall trend in the power sector: The Energy Information Agency projects its carbon output to decline 28 percent by the end of the next decade. But they added that it would leave the power sector subject to the vagaries of the free market, and make it harder to enact steeper cuts in greenhouse gas emissions over the next couple of decades. “It means the absence of any real policy and regulatory framework to reduce our emissions trajectory in the long run,” said Noah Kaufman, a research scholar at Columbia University’s SIPA Center on Global Energy Policy. The measure would establish guidelines for how plants could make the process of converting coal to electricity more efficient using existing technology, and give states three years to devise standards based on a unit-by-unit analysis of their utilities’ operations. The EPA would then have a year to determine whether to approve the state plans, and another year to impose a federal plan if they determine a plan is insufficient.